Click on the Add New link. Enter the post title and the article. 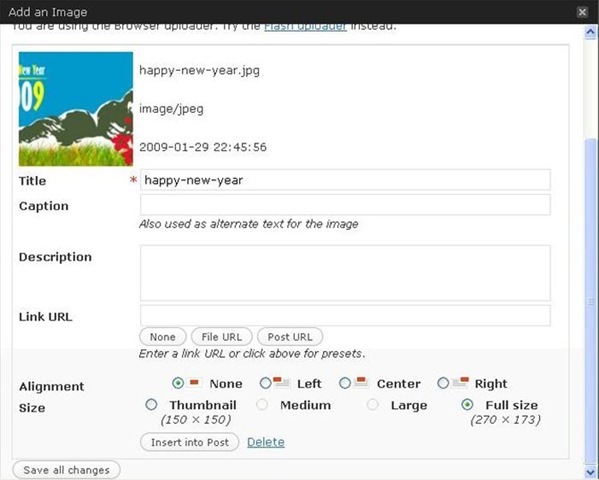 If you want to upload an image from your computer and put it in your post, click on the Add an Image button. See example below. 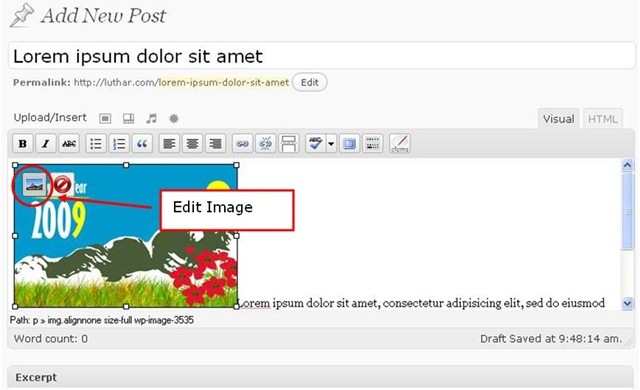 Note: Make sure you place the cursor inside the text editor and before the 1st character of your article before clicking on the add image button. Click on Browser uploader link if the Flash uploader doesn’t work. 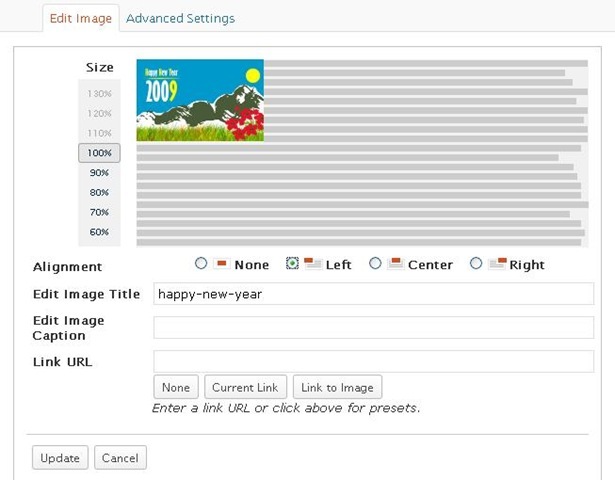 Click on the browse button to locate the image in your local computer. Then click on the upload button. After the image was successfully uploaded. You can put optional information or set its alignment (which you can also do later). If you forgot to set the alignment, you can click on the image and you will see the Edit Image button. Click on it to show the Edit Image window. 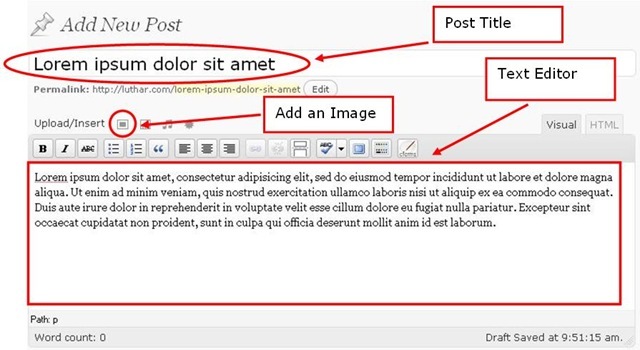 After you finished typing your article, go to the bottom of the page and click on the All in One SEO Pack. 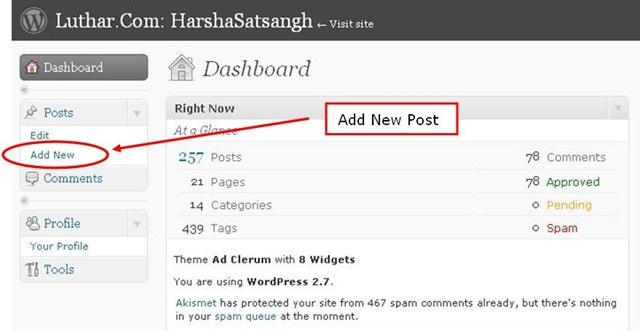 Fill up all the fields because this will help in search engine visibility. 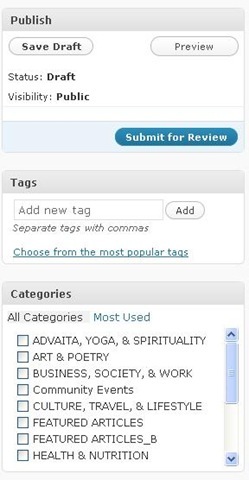 After filling the SEO fields, fill up the Tags field also and select the category of your article and lastly, don’t forget to click the Submit for Review button. You’re done!